The Grammy Awards were just a few nights ago, and that weekend saw plenty of music industry insiders flocking to Los Angeles to walk the red carpet and even possibly take home golden gramophones. While the Grammys mean a lot to plenty of people, for others – even some for whom music is their life – actually winning one can seem like a world away. Nobody can promise you a Grammy, but becoming a member of The Recording Academy is actually quite a bit easier than some think. To be inducted, you simply need to apply as someone in the music industry, an intentionally broad requirement. Musicians, journalists, publicists, managers, and everybody in between can likely join the organization, which carries quite a bit of prestige and can be a good idea for anybody looking to make a living in this crazy business. There are plenty of great reasons to join the Academy, including these five incredibly important perks. 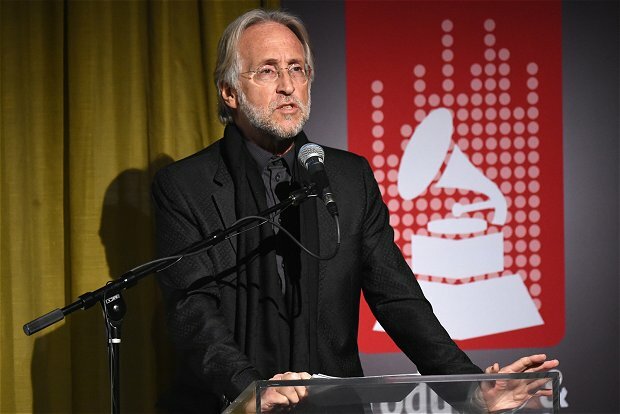 The Recording Academy has recently been ramping up its events with each of the 12 local chapters hosting plenty of concerts, parties, info sessions, and Q&As with some really impressive people. Whether you want to see a legend perform or rub shoulders with the leaders in your community, it's likely you'll find something for you. A quick look at the members' events page shows that no matter where you are in the country, The Academy has something in the works. Upcoming events include a workshop on affordable housing in New York City, a session on how to make and market a music video in Seattle, and a listening party in Nashville – and that's just in February! Like many advocacy groups, becoming a member of The Recording Academy comes with the opportunity to save quite a bit of money on everything from passes to conferences to magazines to tools of the trade. While some of these might not be of use to you, saving hundreds of dollars (the annual cost of being an associate or voting member is only $100, by the way) to attend SXSW, the Billboard Touring Conference, replicating your new CD, or even taking classes at Berklee Online can really make your minimal investment worthwhile. One of the better deals offered is on health insurance, which is something that every musician needs, but so many go without. While The Academy doesn't offer insurance itself, it does help those in the industry get the services they need. Organizers bring in experts who teach musicians what to do and where to go for their health needs, and they'll even sometimes host free clinics, paying for dentists and doctors for those who cannot. On top of that, being a member can actually also get you a discount from certain insurance providers, which is very helpful when you're paying for it yourself. While I wouldn't necessarily advocate signing up for too many social networks (you can end up wasting a lot of time if you try to have a large presence on all of them), this is one you might want to invest in. As a member, you get full access to the social side of The Recording Academy's website, which allows you to network solely with people in the industry. That can be helpful in a lot of ways, but because almost all of these people are Grammy voters, there are actually stories of artists nabbing nominations when they might otherwise have never had a chance. Both Americana artist Linda Chorney and EDM producer Al Walser were nominated for awards after campaigning heavily on Grammy365, the social network that has recently been rebranded as Grammy Pro. While neither of them won, they'll forever be known as Grammy-nominated artists, and the publicity that surrounded their surprise noms was likely very helpful to them as well. The Grammys certainly aren't the only thing that The Academy does (as we've just discussed), but they're a focus, and of course one of the biggest perks of being a member. Even if you're not interested in seeing celebrities on red carpets or pop stars winning awards, actually going to the Grammys can be a smart move if you play your cards right. Tickets aren't free, but they're also only available to members, so if you want to go, you either need to join or you need to know someone who's willing to bring you along. I flew out to LA for this year's ceremony, and it was a great excuse to take plenty of meetings with people I'd wanted to meet. I personally filled my days with coffees, lunches, drinks, and dinners with editors, PR people, musicians, and the like. I met plenty of industry people at the awards as well, and I'm sure that I can count on plenty of these new contacts to be valuable to growing my career in the future. Hugh McIntyre is a freelance pop music journalist in NYC by way of Boston. He has written for Billboard, The Hollywood Reporter, and MTV, as well as various magazines and blogs around the world. He is also the founder and editor-in-chief of the blog Pop! Bang! Boom! which is dedicated to the genre of pop in all of its glory.